And you thought you were hip to the Town’s culture.? Currently most people know Oakland as a city struggling with affordable housing, displacement of working class people: a city riddled with tent cities; a big city who lost two of its three pro teams; and a prime destination for muscle car enthusiasts to exhibit their cars at the sideshow.? However, at the margins and under the Sequoia trees in Joaquin Miller Park, people of color have been seeking solace and temporary escapism from their daily routines through mountain biking. 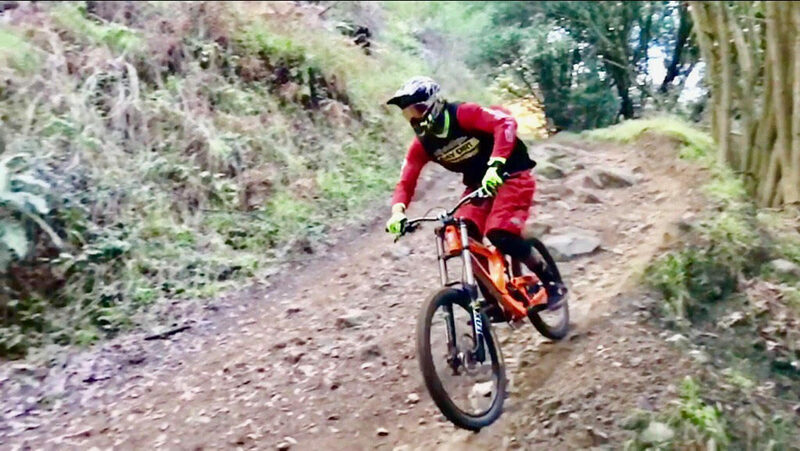 Unless you frequent the park or are one of the many who seek adrenaline rushes from mountain biking every weekend, you may not be aware of the active community of mountain bikers who use the park. “Enter Joaquin Miller Park and you will quickly forget that you are minutes away from the hustle and bustle of the city,” reads the City of Oakland website. 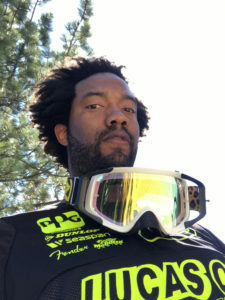 ?For the past 15 years, Carlton “Deepcee” Baker has been escaping the hustle and bustle of the flatlands of Oakland and riding and organizing other riders on mountain bike treks down the various trails in Joaquin Miller Park. “After racing Motocross and BMX in my younger days, I really wanted to get back on a bike. Around 2005, I discovered the Oakland hills and the rest is history,” says Baker. Oakland’s cultural diversity spreads out from the concrete jungle and into the lush trails too. Some prefer the more flat trails like Sunset or the cross-country trails, while others, like Baker, enjoy the more challenging downhill trails like Chaparral or Cinderella. When asked what he likes most about the mountain bike community in Oakland, Baker says, “Unlike what is normally shown in mountain bike magazines, many Bay Area folks, from all backgrounds, are involved in the sport. All colors, races and age groups are taking advantage of being in this sport. Diversity is very important to me, not just in mountain biking, but in every aspect of my life.”? Town folks have been enjoying Joaquin Miller Park and Robert’s Park for generations. One can still find pockets of the old Oakland (a reference to those Oakland residents who have been here since before crack and gentrification), the Oakland that was referred to as the “O” or the “Town,” the one that Too Short rapped about in his album called “Life Is Too Short.”? 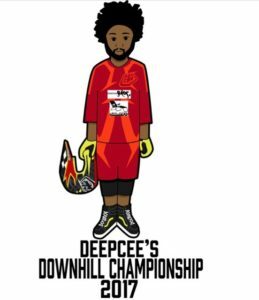 This past summer Baker had his second annual Downhill Invitational Race. An unofficial race by standards, it’s more like a reunion of old Oakland mountain bikers. ?Although not all from the Town, they were people of color chasing the adrenalin that is produced when one rides down the steep and complex trails. ?Most were also chasing to experience the old Oakland – the kind of culture that prompts outsiders to migrate to Oakland. They seek to experience the authentic and innovative trend-setting-vibe the locals recognized, and established, ?in Oakland. But with newcomers and outsiders moving to the Town along comes the social issues.? Baker, an Oakland resident, a fashion dandy, and owner of Essential Soles, an online shoe and clothing store, still faces racism. “Even though you may encounter several different races of people out on the trails, black people are not seen on the trails as much,” says Baker. Those of us who grow up in urban neighborhoods like Oakland seem to always share a story about the elderly person who would yell out of their front screen door to not ride our BMX bikes on their lawns. At the time, we disliked them, but today, we more than ever appreciate those neighbors – they remind us of the old Oakland. It does not compare to what folks are yelling at us today, says Baker; while riding in Joaquin Miller, a hiker mumbled at Baker, “I came up here to get out the hood!”? Places like Joaquin Miller have been spaces we have used to generate ideas and to recharge mental batteries for our daily lives.? Discrimination and over policing was apparent then and still today. As our city changes, old Oaklanders need to continue to share our histories so the Town’s legacy continues to breed positivity and innovators. Despite these few instances of discrimination, Baker still rides and organizes bike events throughout the Bay Area. His most recent event was a BMX jump contest in April that coincided with the Sea Otter Classic in Monterey, considered the start of the mountain bike season. 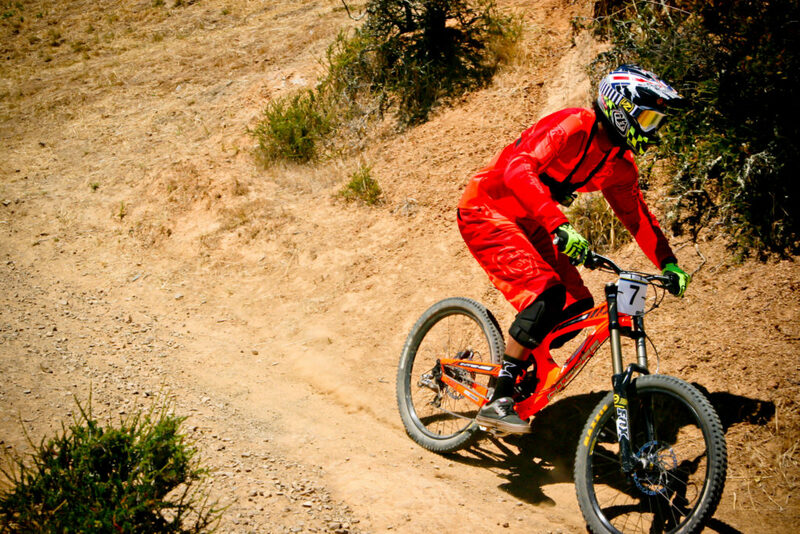 The next downhill race is May 27.? ? Loved this story and this perspective. We need to keep hearing about entrepreneurs and enthusiasts like Baker. Thanks for the positive press, if you will…and I have to admit, I’m itching to get back on my bike in Oakland.